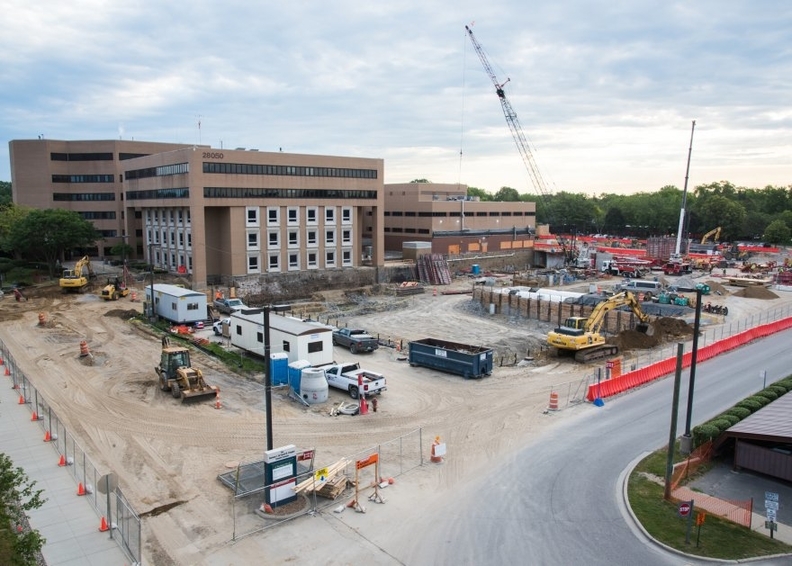 Construction is underway on a new patient tower at Beaumont Hospital, Farmington Hills, the former Botsford Hospital that was part of a merger in 2014. Hospital mergers like the one that formed eight-hospital Beaumont Health in September 2014 often take five years or more to ultimately be judged a success or failure. 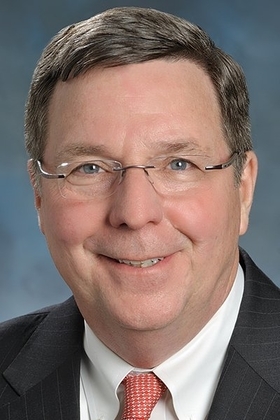 But three years into the merger that brought together four-hospital Oakwood Healthcare, Botsford Hospital and Beaumont Health System, progress toward that end has been unmistakable, according to top executives and physicians interviewed by Crain's. Beaumont's board chair, John Lewis, declined interview requests. "From an operating standpoint, we have got a beat and rhythm and are doing well," CEO John Fox said of the merger. "We are exceeding our targets, getting higher volumes, our hospitals are growing with better asset utilization. Part of that reason is that people understand a lot better than a couple years ago what Beaumont Health is." "Patients and doctors are trying us who have not done so before. All boats are rising. With that, our market share is growing. We see it in all the math. The (Southeast Michigan) market has grown by X, but we are growing by 2X. By definition, our slice of the pie is getting bigger." For fiscal 2016 that ended Dec. 31, Beaumont Health enjoyed an operating income increase of 43 percent to $200.6 million for a 4.6 percent margin, compared with $140.7 million the prior year. Net revenue grew 6.7 percent to $4.4 billion. Beaumont has projected net savings from the merger over three years to be more than $134 million. Over the two years Fox has been CEO, Beaumont has moved the needle on integrating the eight hospitals with 3,337 beds and 168 outpatient sites into one entity in a number of ways. They include combining administrative staffs and back-office support services; issuing a consolidated bond for $398.4 million that saved the new system $23.5 million; consolidating electronic medical record systems with Epic Corp.'s electronic medical record; forming 900-physician Beaumont Medical Group and launching Beaumont Care Partners to negotiate managed care contracts. Cost savings last year from the merger, estimated at $77 million, allowed Beaumont to reward employees with pay raises, company 403(b) retirement plan matches and new educational assistance and benefit plans. Beaumont employs 35,000 workers and has nearly 5,000 physicians on its medical staffs. Many smaller improvement projects are flying under the public radar. But prominent changes included the January launching of a new Beaumont branding campaign during the Super Bowl. Its "No Quit in Us, No Quit in You" print, radio, TV and billboard campaign so far is getting good reviews, Fox said. This summer, executives will analyze data to determine if patients responded to the campaign by visiting a Beaumont hospital or doctor. This year, Beaumont plans to open a new ER center and proton beam cancer center in Royal Oak and a new patient tower at Botsford Hospital in Farmington Hills. It also will break ground on a new shopping village with a hotel, shops and food services adjacent to its 1,100-bed hospital complex on Woodward Avenue and 13 Mile Road. While individual merger cases may vary, Robert Burns, chair of the health care management department in the Wharton School at the University of Pennsylvania, said research on hospital mergers shows long-term results show little improvement in cost reduction and quality compared with non-merged competitors in markets they share. "Hospitals that merge to become one reduce costs a little bit (estimated 2.5 to 5 percent) but don't improve quality" compared with competitors, Burns said. "The systems that coalesce under one roof, they don't reduce costs or quality. Most studies show that." Burns said merged hospitals, especially those who form larger systems like Beaumont, first tackle administrative and staffing costs. "Centralizing financial, human resource, back office, that is the easy stuff, the chump change, the low-hanging fruit, because it doesn't require buy-in from doctors," Burns said. "The administrative side is a small portion of total costs. They get some savings there, but it will not take you very far. Merger costs tend to slow and stop in the intermediate term (five years)." After the failed merger deal with Detroit-based Henry Ford Health System in 2013, which primarily was terminated because physician and executive cultures didn't mesh, the Beaumont board and executives realized they needed more like-minded partners, especially on the physician side. The culture of Henry Ford's employed physicians and Beaumont's mostly independent medical staff were never going to mesh, sources have told Crain's. Administrators also differed on a variety of other policy issues, including location of corporate headquarters and the fate of the historic Henry Ford Hospital in Detroit. While supportive of the Beaumont Health merger, five veteran physicians at Beaumont's three legacy hospitals told Crain's they are becoming disenchanted with some of the changes underway. They increasingly view the merger as a business deal and haven't yet seen much of an effort by management to integrate the three legacy partner cultures. Fox understands physician frustrations at the pace of change. He often listens to physician concerns and meets monthly with all eight hospital medical staffs, physician leaders, directors and managers. "We are very open with physicians. I meet one-on-one with clinical leaders and hear their concerns (that) depend on their area of specialty," Fox said. "Whether you are employed or in private practice, it is hard to be a doctor in American health care. It pulls on you in ways not there 10 or 20 years ago." To ease external medical practice pain, Fox said Beaumont is trying to help physicians adjust to coming value-based payment reimbursement changes, which tie payment increases to quality improvement, coming in 2019. "We have presentations going on with private practice doctors and office staffs. We want them to know how to manage that and do well in the environment of health care." But one recurring complaint he hears is that physicians don't think Beaumont has enough support staff. "They want more experienced people. It is a two-way street," Fox said. "We have to be competitive with salaries and be attractive for nurses, physical therapists" and other clinicians. For the five Beaumont physicians, who asked for anonymity because of their positions, they agreed that one of the more disturbing changes at Beaumont occurred earlier this year when each local hospital chief medical officer was asked to report directly to the local hospital president. Before, local CMOs reported directly to the system's chief medical officer, David Wood, M.D. "Beaumont operated under the theory that two people were jointly responsible for the hospital, the CMO and the president," Fox said. "That can be a difficult situation and very confusing in a crisis, having two people decide." Fox said the three legacy Beaumont hospitals only had this reporting relationship. Most hospitals in health care systems, including those in the old Oakwood system, do have medical directors report to the hospital president. "It was very unusual. We tried to provide clarity around that," Fox said. "Hospital CMOs still talk with Dr. Wood. ... The hospital president and CMO have to be on the same page. When they are not, we have a real problem." But Beaumont doctors told Crain's that the reporting change from Beaumont's once-independent medical administration has led to a more rigid structure that is less appreciated by physicians because they often feel left out of decisions. From his perspective, CMO Wood said he believes the impact to physicians and the hospitals from the reporting change has been minimal, although at first some doctors expressed surprise and concern. "We have excellent working relationships. The change didn't really change practically how things are run," said Wood, who added he meets with all eight local CMOs every two weeks. "The hospital presidents, if they are to be effective, have to have physicians behind them." Wood said Beaumont has formed an 18-member clinical leadership council composed of elected and appointed physicians to work on common issues, problems and projects. Beaumont physicians are concerned about the possibility that medical staffs of the hospitals will be merged into one and that the system is developing a single physician credentialing process. The Beaumont Royal Oak specialist told Crain's he and other legacy Beaumont doctors would oppose any such decision. "We don't want Oakwood and Botsford doctors getting automatic system privileges," he said. Wood said a systemwide medical staff credentialing proposal is not under discussion by the clinical leadership council, but he added that there would be some minimum criteria and some shared bylaws across the system. "By regulation, each hospital has a separate medical staff. With all the mergers (going on nationally), that system is somewhat archaic," he said. "We are merging the back offices of credentialing to be more efficient. We will have one credentialing system, but the (privileges) criteria will be a local decision." But Wood said decisions of who will be on each hospital medical staffs "will be a hospital decision" because the needs of each hospital are different. Despite hearing some grumbling, Wood said he believes overall physicians are doing well with the merger. "Health care is at very turbulent times for hospitals and physicians. I think considering all the turbulence, they are doing well. They are seeing the value of the new size, scope and geography and feeling positive about it." However, Wood acknowledged physicians can have positive and negative feelings depending on their specialty, location and time spent in the system. "Many of the legacy Oakwood physicians enjoy (being part of) the Beaumont brand and feel very positive about that. Many of the legacy Botsford doctors feel a lot of stability because they are in a larger system," Wood said. "The legacy Beaumont physicians, they are enjoying size and stability. Then went through a period of time where there was quite a bit of merger talks and uncertainty." Over the past two years, Beaumont has taken steps to improve clinical care programs — primarily quality, patient safety and outcomes — across the system, Fox said. Wood said the goal is to ensure quality and customer experience is consistent. Depending on the service line, programs at smaller hospitals will be enhanced, Fox said. "Orthopedics is constrained in Royal Oak (Beaumont's 1,100-bed flagship hospital). We are looking at (Beaumont Hospital) Taylor to be a platform. Taylor has four to five ORs that can open quickly. We will hire more spine surgeons for orthopedics," Fox said. "It is a way to vector out more to the west. ... We need to offer more programs to more markets." 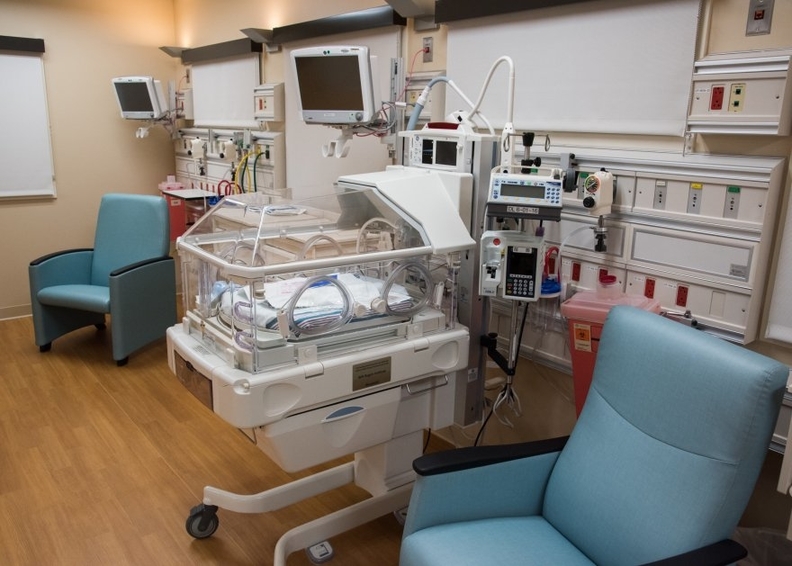 The newly renovated Neonatal Intensive Care Unit pod at Beaumont Hospital, Dearborn, formerly Oakwood Hospital. 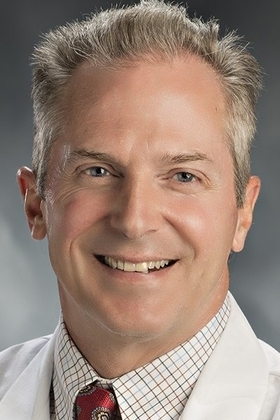 Wood said the Taylor hospital is known for its excellent physical medicine program and Beaumont recently added more residents to support the hospital and orthopedics. "Our market share in orthopedics has increased. I can't say it is entirely due" to clinical care improvements, but Wood said there has been growth. One project that began last year will clinically integrate three Beaumont departments — mothers and children, oncology and orthopedics and spine — across all eight hospitals. "What we are trying to do is get an identity for each clinical program" that reflects Beaumont health instead of individual Beaumont, Oakwood and Botsford hospitals, said Fox. "We will have the services (in place) to support them: emergency, pain management, imaging, pharmacy, infection control, palliative care and laboratory," he said. "The real message is we need these clinical programs talking with each other." In March 2015, Fox began CEO duties at Beaumont. But he didn't report for work at the Beaumont Royal Oak campus, as had the five previous CEOs in the hospital's 62-year-old history. "I have never worked in this kind of building. It was done before I got off the plane," said Fox, adding he misses rubbing elbows with doctors, nurses and patients. "You can't do this job unless you listen to people from the ground up." So, Fox said he also is looking for a new corporate headquarters location, one that he called "a shared services building." He declined to specify an area, but said it could be multiple locations. "I don't want to increase real estate speculation" and drive up costs, he said. But it is clear Fox wants the new corporate HQ to be located closer to one of Beaumont's hospitals. This year, Fox said Beaumont also plans to expand the number of patient and family advisory councils. "We will have hundreds of advisers," he said. "Patients use the ER a lot. They have a feel for it. They have been involved in our ER redesign. They will see things that you don't." Patients and families also helped design the waiting room area in Beaumont's new proton beam center, which will become operational in July. "They are in your facilities every day. Whatever we are doing, we want to get their perspective on this," Fox said. Fox said Beaumont will invest in other therapies that include transaortic valve replacement, deep brain stimulation and urological advances. "There are new disruptive technologies that will truly add value and advance patient health better than anything in the portfolio," he said. "Beaumont's​ financials,​ patient​ volume​ stats​ up​ 3​ years​ into​ union​ of​ hospitals"​ originally​ appeared​ in​ Crain's​ Detroit​ Business.